Do you? Do you go out of your way to help someone, to offer your time, or your expertise? Community service and the decision to make a difference impacts so much more than service you are helping, it impacts lives. Consider yourself a philanthropist. A pessimist, they say, sees a glass of water as being half empty; an optimist sees the same glass as half full. But a giving person sees a glass of water and starts looking for someone who might be thirsty. Becoming a philanthropist does not necessarily require a lot money. But it does require a passion and desire to help promote the welfare of others within your community. Volunteering is not eligible for monetary payment, however you will be rewarded in many other ways. 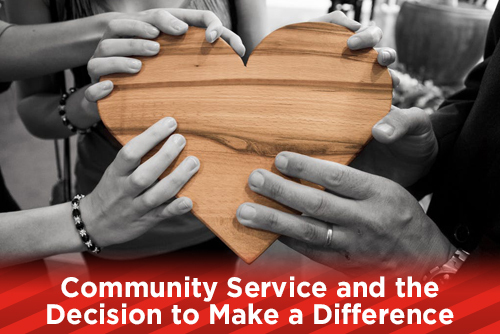 Community services has a plethora of various activities and opportunities. Your community can benefit in so many ways with not only your monetary donations, but the giving of your time through your work experience, your talents and your life skills. Giving back to your community is where you become a humanitarian. How can you become more involved? There are so many others. Check out this link that can help you locate your next volunteering adventure. Community service can be successful through the assiduity of a lot people, will you be one of those people?